The 10th workshop on Power-Line communication (WSPLC 2016) is to be held in Paris, France on October 10th – 11th 2016 – and is now open both for registrations and submissions. This year the workshop is organized jointly by Ecole Polytechnique and EDF R&D, both active in the field of PLC systems for smart grid applications. With the IEEE ISPLC conference, WSPLC is one of the major events of the worldwide powerline communications (PLC) community. WSPLC is the right place for academia and industry to present and discuss ongoing work in the field of PLC technologies and related applications ranging from in-home multimedia to smart grid systems. Of particular interest are, however, untraditional PLC uses and deployments, as well as whole-stack views: from the physical to the application layer, including PLC integration into the Internet of Everything. 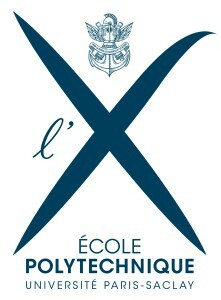 Ecole Polytechnique (often nicknamed X, both recognizing the letter formed by the crossed canon barrels from its original logo, and as a wink to the universality of its graduates – the mathematical X which in an equation can assume any value) is the foremost French engineering school. Known for its extremely competitive entrance exam, it produces graduates that occupy outstanding positions in industry and research. Among its alumni are several Nobel prizes winners and many CEOs of French and international companies. Founded in 1794 and initially located in the Latin Quarter in central Paris, it was moved to Palaiseau in 1976. Traditionally, a favoured goal of the polytechniciens has been to join the elite government bodies known as the grands corps techniques de l’État (X-Mines, X-Ponts, X- INSEE,…) ; nowadays the majority of the 500 students who graduate each year join the civil society, from start-ups to Fortune-500 companies. About 30% of the graduates of Ecole Polytechnique pursue a doctoral degree. With about 2000 researchers and technicians, across several sites in France (Paris-Saclay, Chatou, and Les Renardières) and other locations worldwide (Germany, UK, Italy, Poland, China, Singapore and USA), EDF R&D pushes the boundaries within a vast number of research areas, including: nuclear energy, ageing processes of thermal and nuclear installation materials, mechanics, software engineering, mathematics numeric simulation, energy conservation, semiotics, hydraulics, fluid mechanics — not to mention the development of renewable energies, smart grid, etc.